The Difference between Medical Billing and Coding. In the USA, doctors don’t take a down payment from the patients they service directly. They provide healthcare services and then send the invoice to the insurance companies in order to receive payment for their services. This process is carried about by the best medical billing services as they submit the medical claims for the hospital or healthcare organization and conduct a follow-up with private and Government insurance companies. These billing services can be defined as actions that are performed by a specialized vendor, coders responsible for diagnosis codes, procedural coders that apply the right payment codes for the disease serviced, and a team of medical billers. The revenue cycle management of the organization is carried about these billers. 1. Medical billing as a process entails following up with insurance companies for healthcare payments without allowing the insurance company to wriggle free from their responsibilities. 2. The healthcare service is transformed into bills through this process. 3. The work that doctors, nurses, paediatricians, orthopaedists, and gynaecologists perform needs to be reimbursed and medical billers ensure that. 4. Most insurance companies look for petty reasons that don’t let the patients achieve their claims which is why the top medical billing companies in USA are employed to manage the hospital rates such that the reimbursement also covers up damages. 5. The process of co-payment includes payments which are partly covered by the insurance company and the rest is paid by the patient. 1. The universal medical alphanumeric codes for every healthcare diagnosis, medical service, procedures, surgeries, and equipment are generated through a process called medical coding. 2. The medical record documentation is scoured for diagnosis and procedure codes and includes transcripts of a physician’s notes, radiologic, and laboratory results at their disposal. 3. The medical coders ensure that the codes are applied correctly in the billing process and that includes the tedious job of extracting information from documentation, assignment of codes, and framing a claim to be paid by insurance providers. 1. Medical coders just have the job of reviewing clinical statements and assigning the necessary medical codes to them, while medical billers have to confront the insurance companies and ensure that the payment is made where it is due. 2. The coder glances over all the patient’s records and verifies the services provided. The coder and biller work together to ensure that no denials are made. 3. 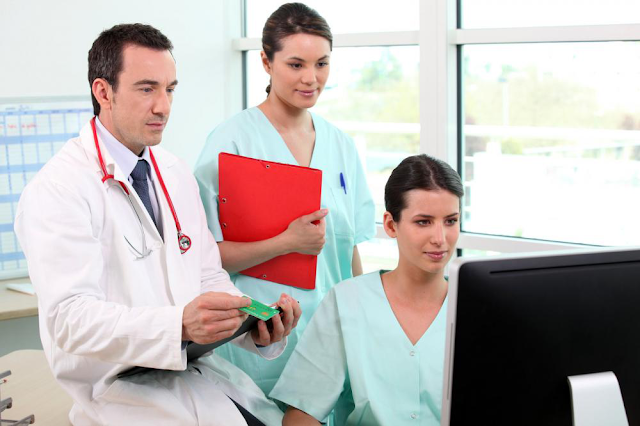 The medical coder possesses the patient’s story and gives a detailed analysis of the services rendered to the patient so that the biller has enough information to hold the claim. 4. Coders also have to re-file claims that have been denied and conduct audits. They also take up the role of an educator to doctors and healthcare providers and explain the appropriate codes that are compliant with federal mandates. The medical biller collects information that is related to the billing process and this includes charge entry, payment posting, claims transmission, insurance follow-up and patient follow-up. They also extrapolate more information from the doctors regarding the diagnosis to build their case.